Initiatives like ours derive inspiration when the beneficiaries get a direction to move ahead in life and are empowered to carve their own niche in the world of immense possibilities. Read the full story below in their teacher's words. "These are Lakshmi, Puja, Yasmeen and Farhana who completed the computer training course at Sakshi's Vocational Training centre in Jasola and were successfully placed at Tech Mahindra and Vodafone. These young girls aged 18-20 not only received professional training in computer skills but also gained confidence to go out into the world through the course. All four girls come from families with a weak economic background, with 6-7 members earning Rs. 4500 per month combined . In the beginning, they did not have the confidence needed to succeed in the career world but what they did have was a desire to learn and get as much from the program as they could. As the course progressed, they not only learned subject skills but also learned to communicate, work in teams and accomplish projects. Healthy peer interaction and a positive environment of learning infused such confidence in them for winning over the challenges in life that they found jobs in their very first placement sessions organized by Sakshi. Read Shabnam ma'am's story, the difficulties she faces and the happiness she has. Sometimes the reasons for dropping out of school are so simple. "The school is very far from here," Shabnam explains. Indeed, there is neither an MCD school in Shaheen Bagh nor school bus service. The nearest bus service is not easily accessible by children between 3 and 6. But above all, not easily accessible for children whose parents do not grasp the importance of education, can neither read or write and are on low incomes (farm workers, factory workers etc). Shabnam has worked as a teacher with Sakshi or more than 4 years. She really knows these communities and understands their needs. The children need a lot of assistance. Faced with this situation, Sakshi opened 2 ECCD's in Shaheen Bagh. 30 children benefit from Shabnam's centre. Because resources need to be stretched, children between ages 3-6 are in the same classroom. Classwork goes on in different groups for different levels. Pupils take tests regularly to assess progress. When Shabnam talks about challenges, she stresses the difficulty of convincing the parents to send their children to the ECCD. It is a recurrent task. Every month teachers and Sakshi staff meet the parents. However, despite all the difficulties, Shabnam is very happy. She loves her work and she underlines the success of her centre; every child joined a Primary School at the end of the year. 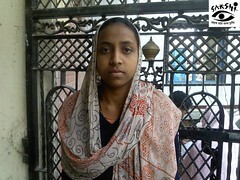 "From Almost-Drop-Out to The Girl who got a Prize from Famous Writer Manoj Das"
Name of the girl: Rani. Father's name: Mr. Jaggannath Mehto. Mother's name: Mrs. Manto Devi. Siblings' educational status: All the sisters go to school. Mother: Works as a maid in Sarita Vihar. Total monthly income of the family is Rs. 4400 pm. Break-up: The mother earns Rs. 1400 pm and the father Rs. 3000 pm. Rani was good in Hindi. She could read English books but she didn't understand what the stories meant. She faced difficulty in maths sums. She could not practice at home because there was no time. Her mother works so as the eldest child, she had to perform household chores. Her parents were illiterate and therefore didn't understand how important education is, especially for a girl, to empower her to live a decent life. Having seen thousands of lives ruined this way, Sakshi social workers knew if Rani did not complete her education, she would never be able to extricate herself from the life of poverty she was born into. And as a girl, if she did not stand on her own feet, she was at higher risk than a boy of being exploited and maltreated. Hence, Sakshi social workers immediately enrolled Rani in the local Sakshi Remedial Education Centre. It was her last chance. The Sakshi REC was all that stood between Rani and a life of deprivation and danger. 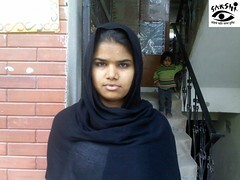 Rani received additional coaching after school to help her with subjects she was weak in i.e. Maths and English. She participated in Exposure Visits to Apno Ghar, India Gate, Science Museums, and Children Park to spark her interest in learning and broaden her horizons. She participated in extra-curriculars like singing and dancing so she could learn that "learning is fun!" She attended Life Skills Coaching sessions to understand things like how to cope with the changes that come during adolescence, how to identify predators (something she is peculiarly vulnerable to, living as she does in a slum), the importance of values and one's culture etc. Her parents also attended our Parents' Workshop and Parent-Teacher meetings where they learnt how important it was for them to support Rani's studies at home so she can graduate and make something of herself. From almost a drop-out to a topper: Rani almost dropped out of school because of low grades and would never have managed to extricate herself from the poverty she was born into. A Sakshi Remedial Education Centre turned her into a topper in school. She won a prize from famous writer Manoj Das at the National Trust Book Fair for translating his story from Hindi into English! She also learnt many other things at Sakshi. 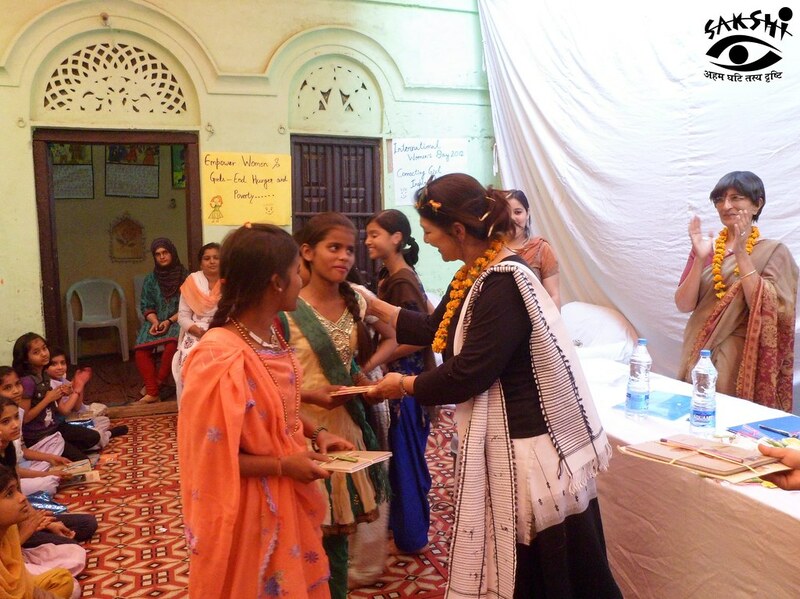 Here she is at Sakshi's International Women's Day Celebration receiving a prize for winning a Dance Contest! Rani is happy because she knows she will one day graduate and be able to stand on her own feet, and help her family lead a decent life. ?Today, Rani is not only not in danger of dropping out but is among the toppers in her class. Her scorecard at school reflects her increased abilities. She is doing very well in Maths and English now. She went to the National Book Trust Book Fair, a trip organized by Sakshi. There, she translated a Hindi story by the writer Mr. Manoj Das into English and got a prize and an ovation from him! Rani is a hardworking girl. It turns out all she needed was a little extra help in understanding class subjects she had not understood and the teachers in her school had no time to explain to her. The exposure visits and interactive activities at the Sakshi REC brought out the innate curiosity and habit of learning she had within her. She enthusiastically participates in everything now. She completes her homework punctually, and asks the tutors her queries and problems. She loves going on Exposure Visits and comes back full of stories and facts. 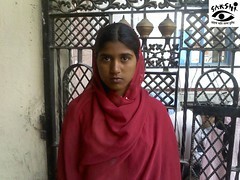 Rani is doing well also because she can now study at home. After participating in the parents meeting and workshops, her parents understand the benefits of education which they did not earlier because they are not literate themselves. Now her parents make sure she has enough free time from chores to do her homework and study her lessons. Very importantly, because of the outreach Sakshi arranges, Rani's parents also feel like they are part of their daughter's life and progress and are proud of their daughter's accomplishments. Rani is very happy. She knows now that she will graduate and be able to make something of herself. She will one day break the cycle of generational poverty in her family both for herself and for her parents. Rani loves to dance and now she has a reason to dance every day. 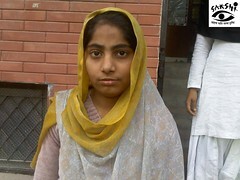 Update: Rani and one of her younger sisters are now also part of our Girls Education Project. This means we will bear the cost of their studies till they graduate. Their family is very poor. Our financial and material support will ease the burden on the parents and they can now afford to educate all the children otherwise one or more of them, even Rani, might have had to drop out.